As Floridians, we often don’t think of preparing our homes for winter because we don’t really have a “winter.” When it comes to garage doors it’s important to take the appropriate step of insulating your garage door to ensure that your door is securing your garage and home to the best of its ability from outside temperatures! 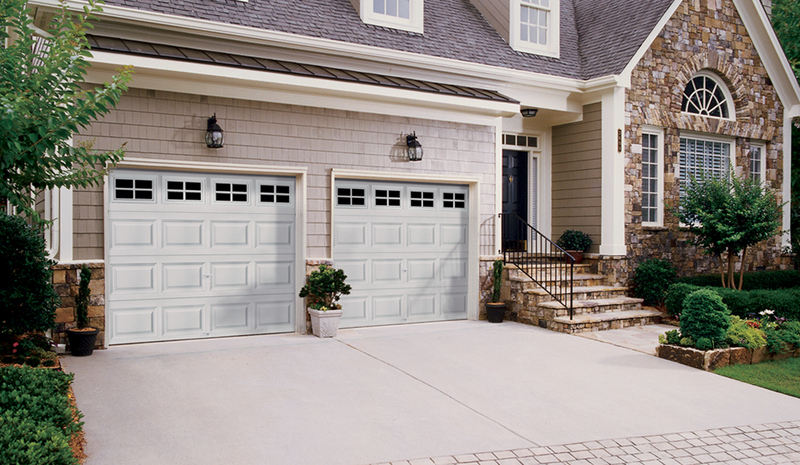 An insulated garage door will make your home more energy efficient all year long. The extra layer of protection from the outside weather allows your home air conditioning unit to function as it should. Whether it’s 45 degrees or 95 degrees, a garage that isn’t insulated will cause the rest of the home to cool down or heat up. In turn, the air conditioner or heater will be forced to work even harder to correct the problem. It’s important to insulate your garage door. That way you have an additional protection from dents and increase its overall sturdiness. The additional large layer of protection within the metal really makes a difference in maintaining the garage’s structure. While insulation won’t protect the garage from a car running into it, it will help to prevent denting if a ball or bicycle happens to cross its way, saving the homeowner money on cosmetic repairs in the long run. A quiet garage door is a benefit to insulating your garage door. The material that is used helps to absorb some of the sound waves that come when that heavy door opens and closes keeping the inside of your house quiet and peaceful! Interested in learning more about the insulation process? Call us at 888-371-7242 to speak to a representative or schedule an appointment!